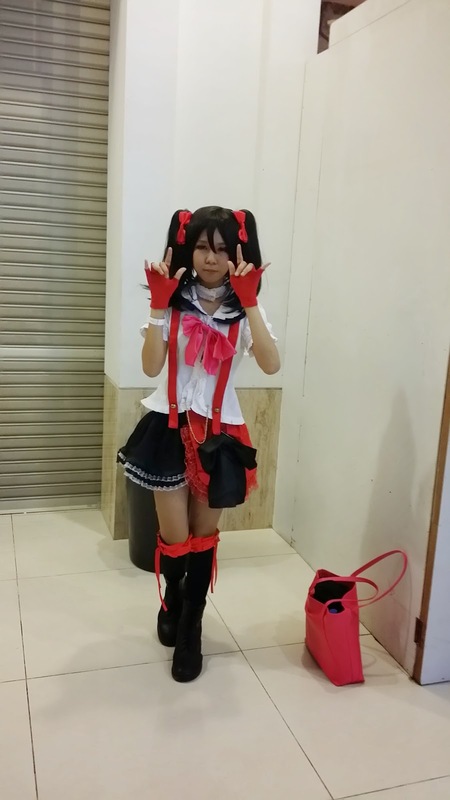 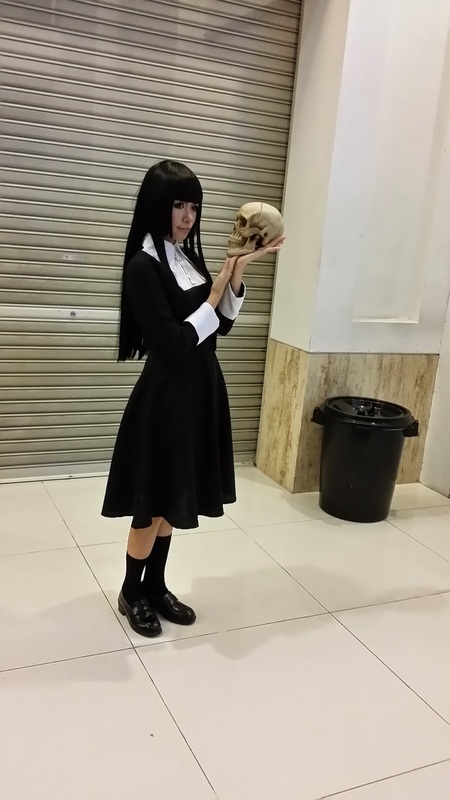 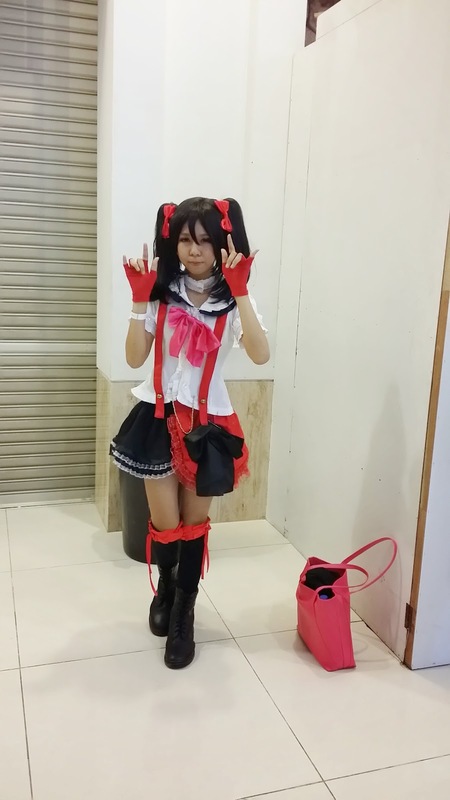 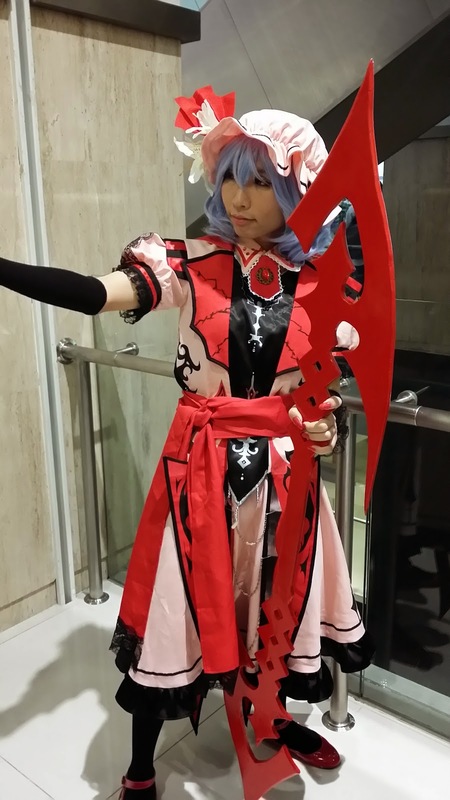 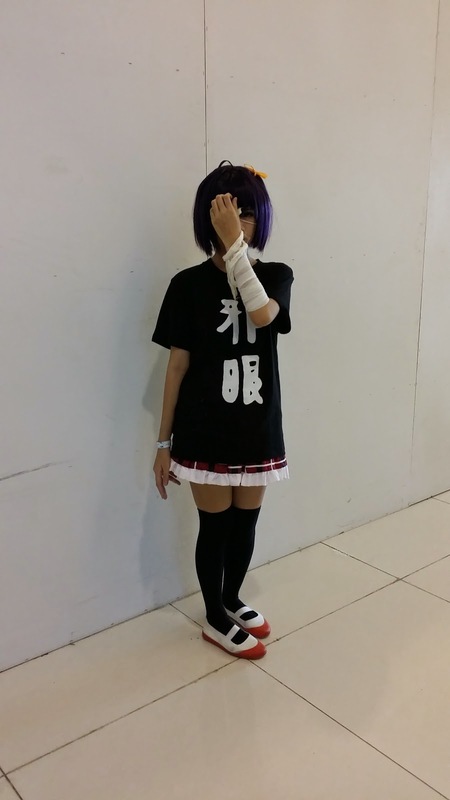 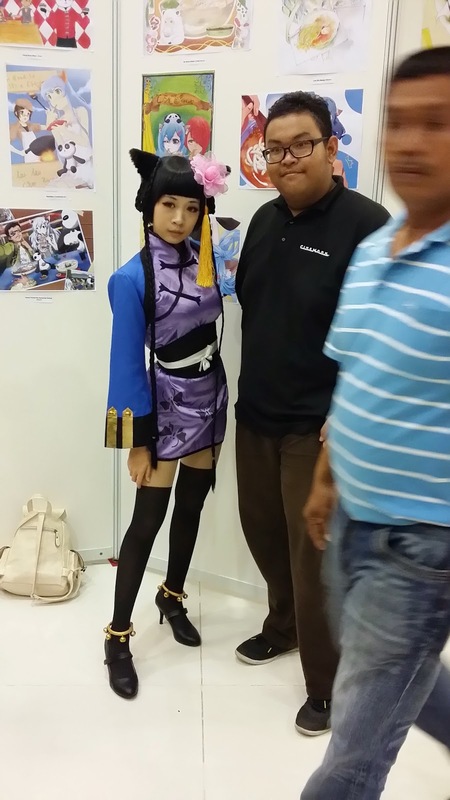 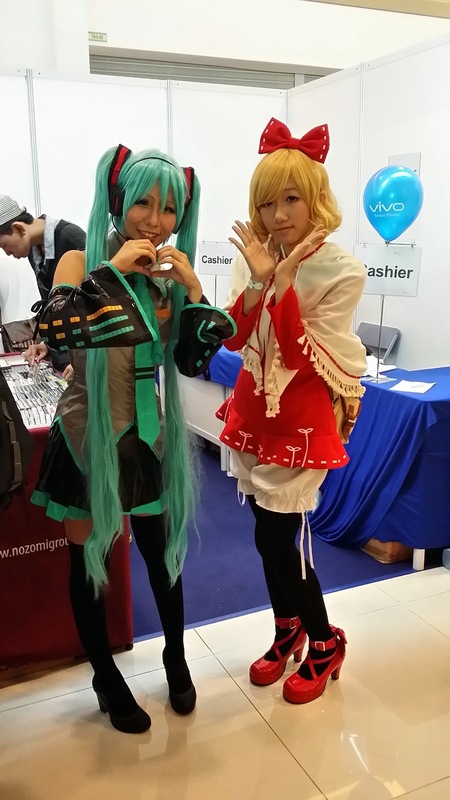 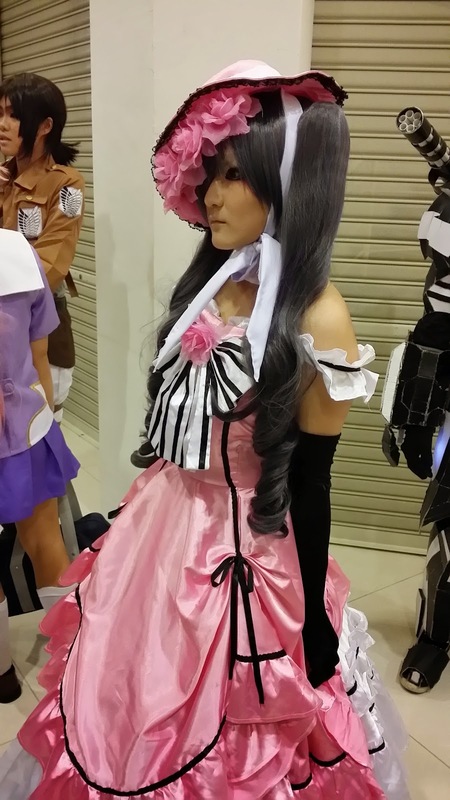 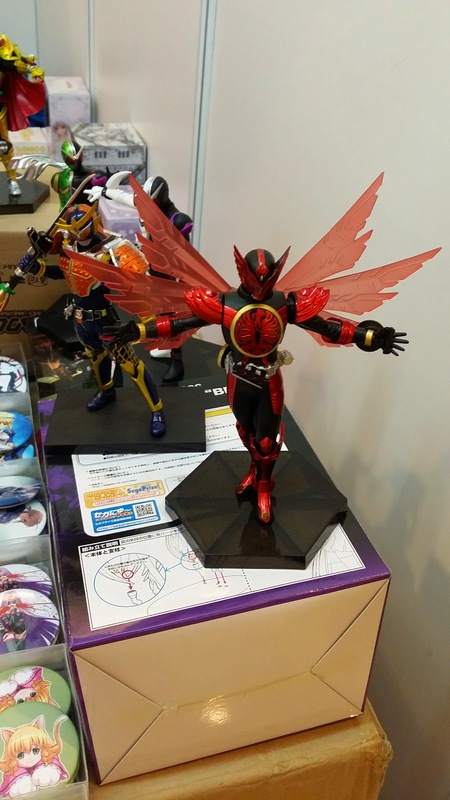 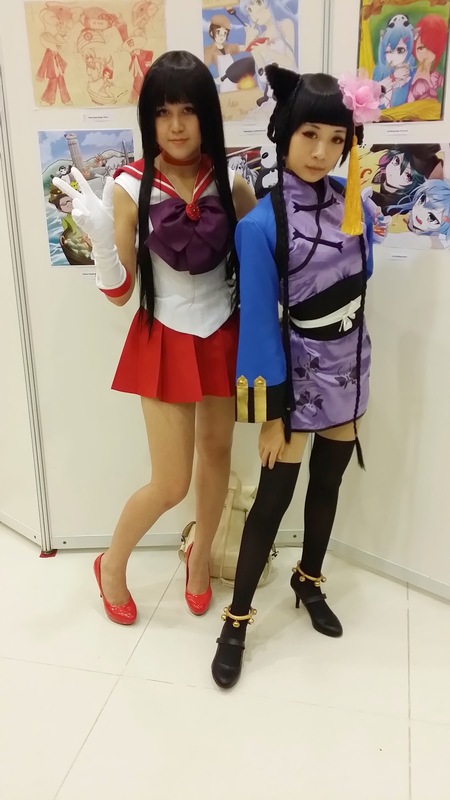 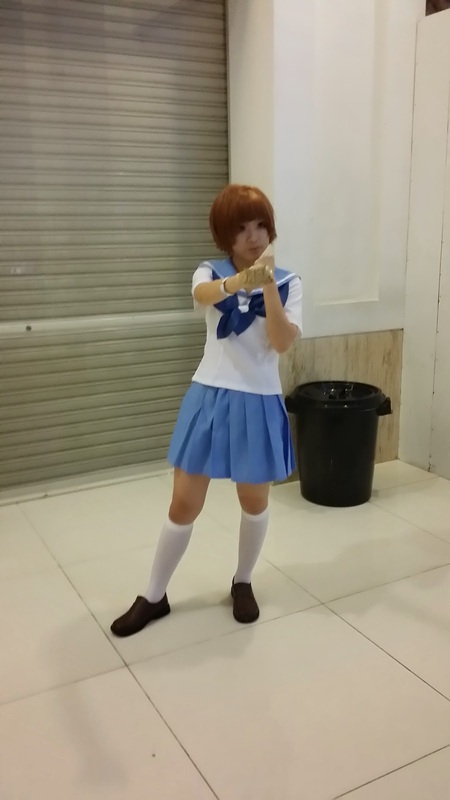 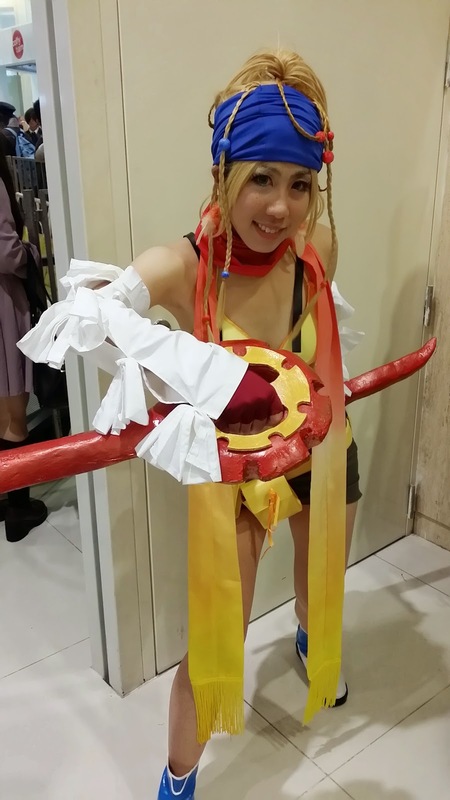 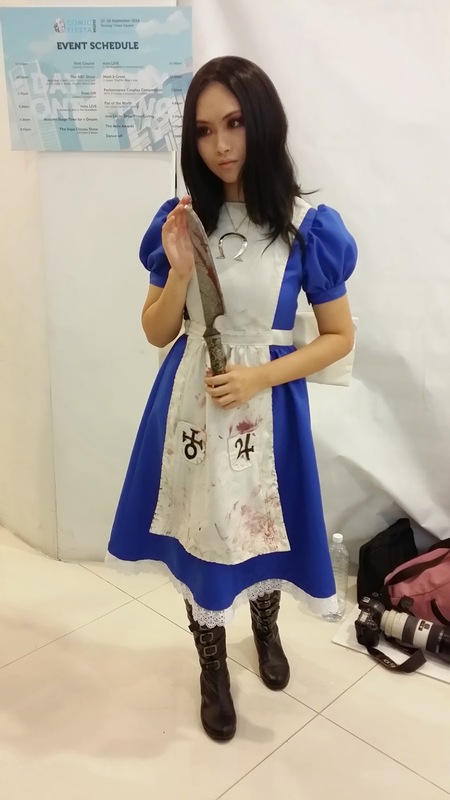 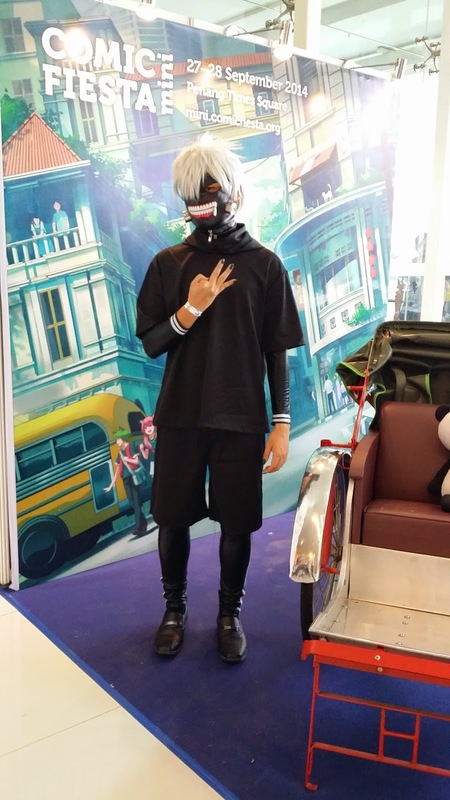 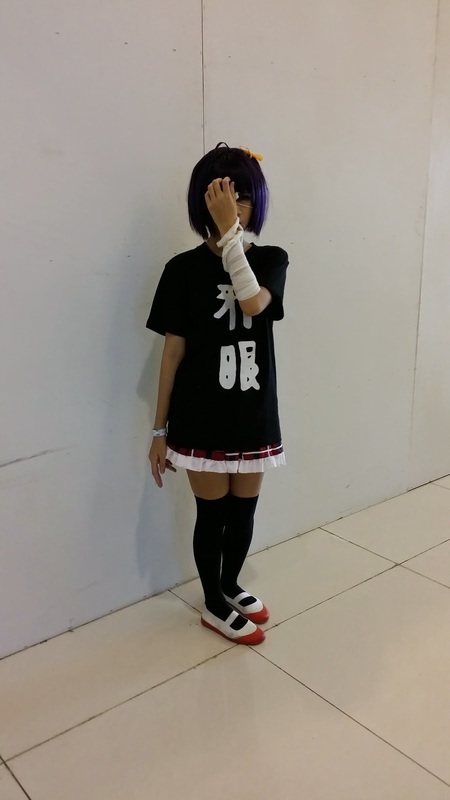 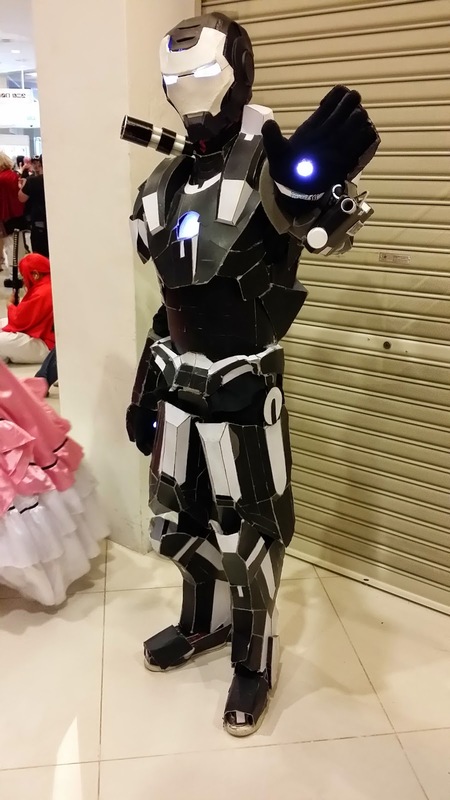 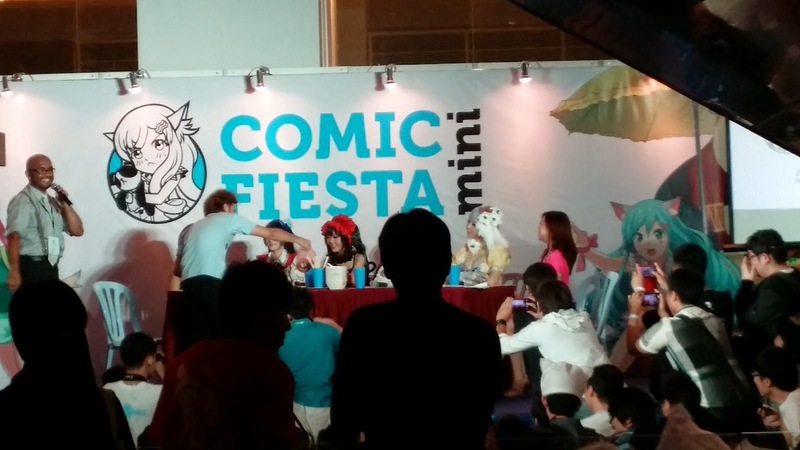 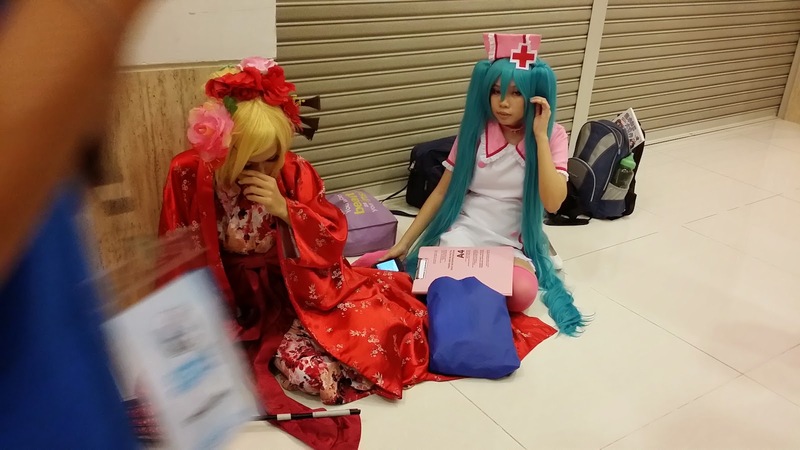 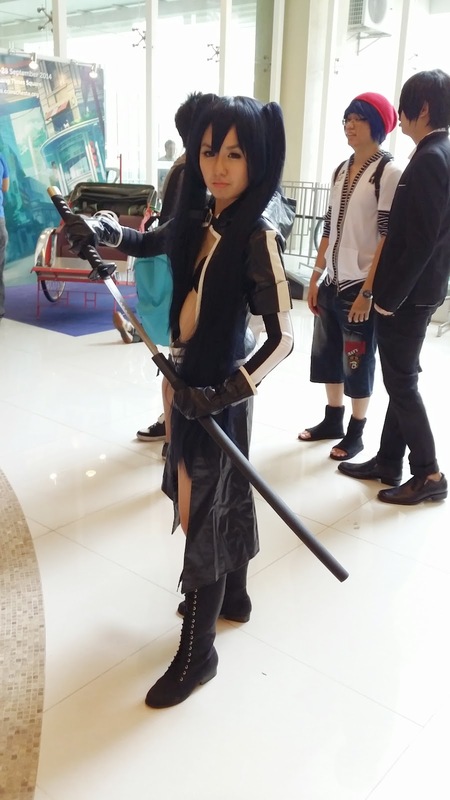 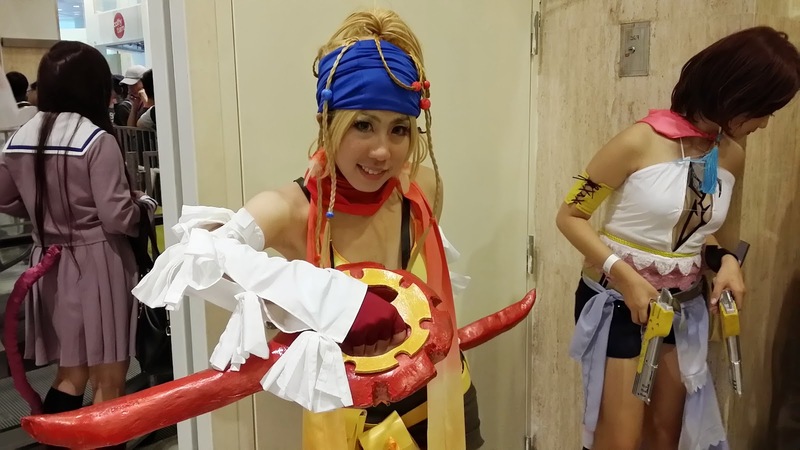 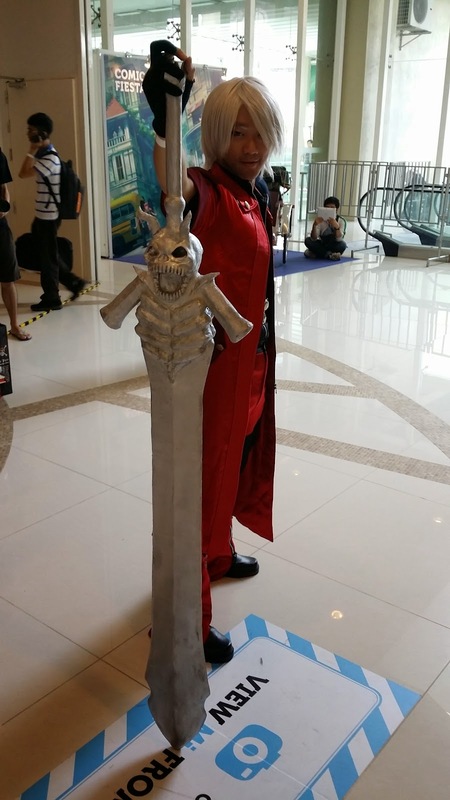 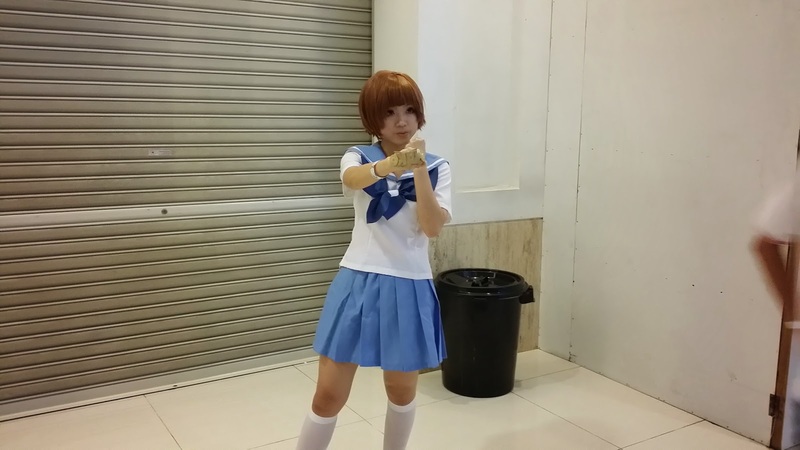 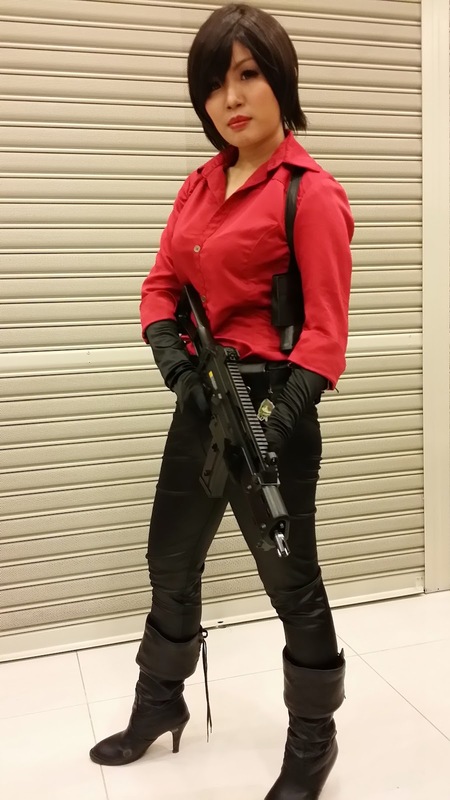 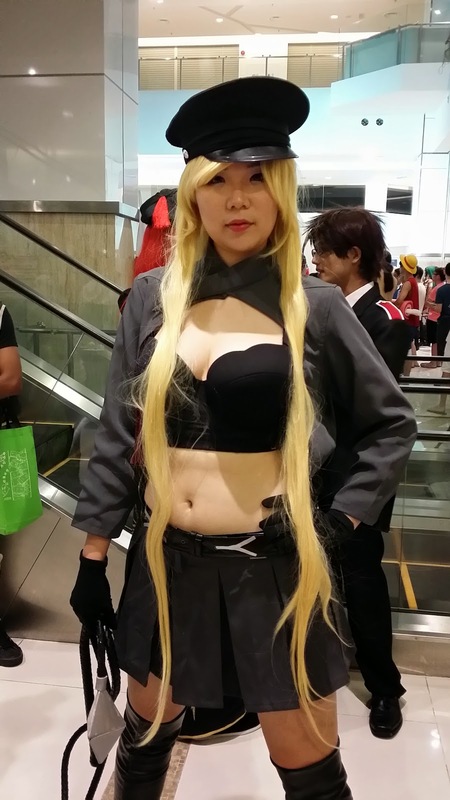 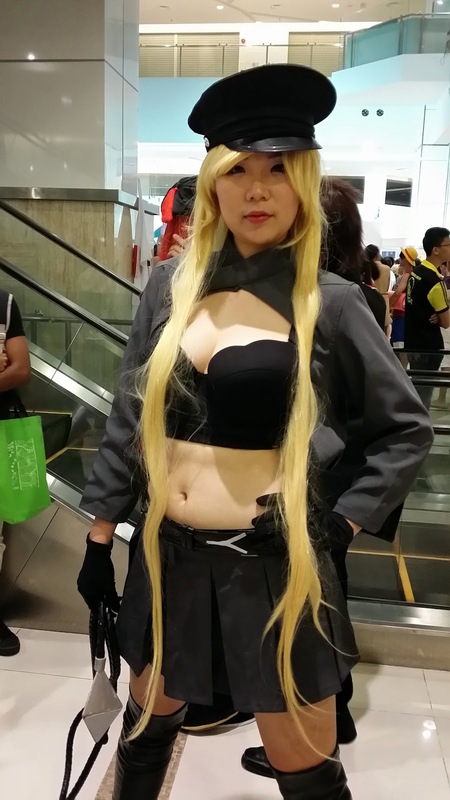 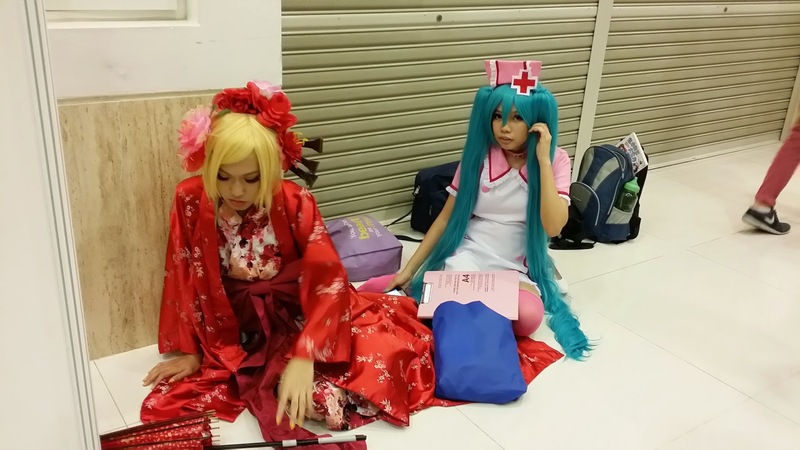 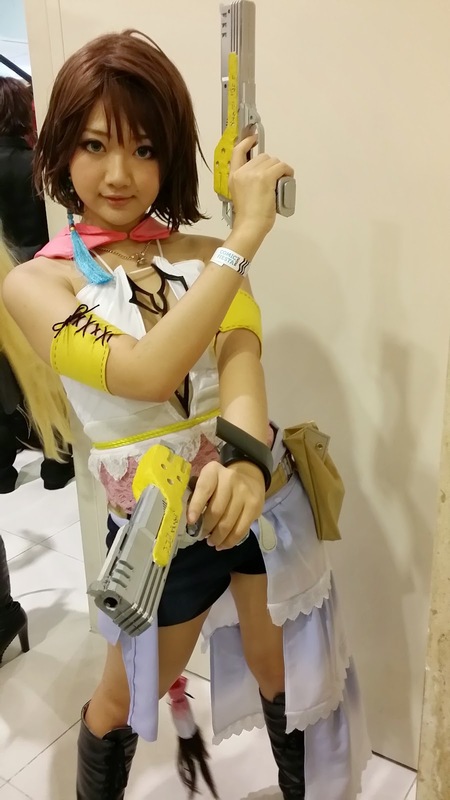 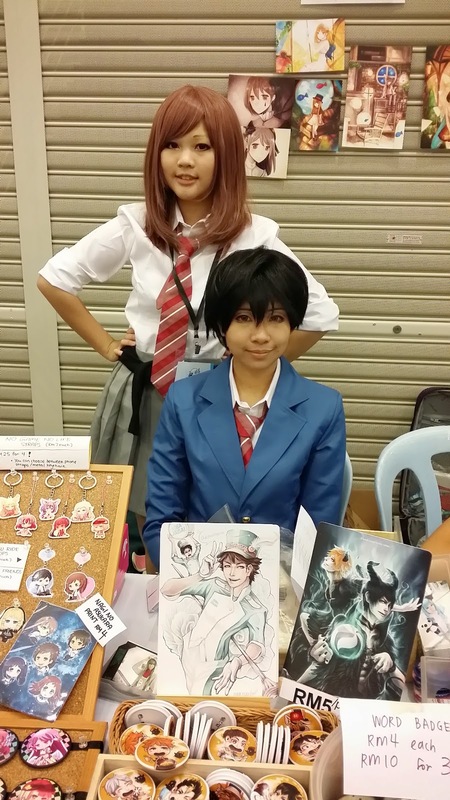 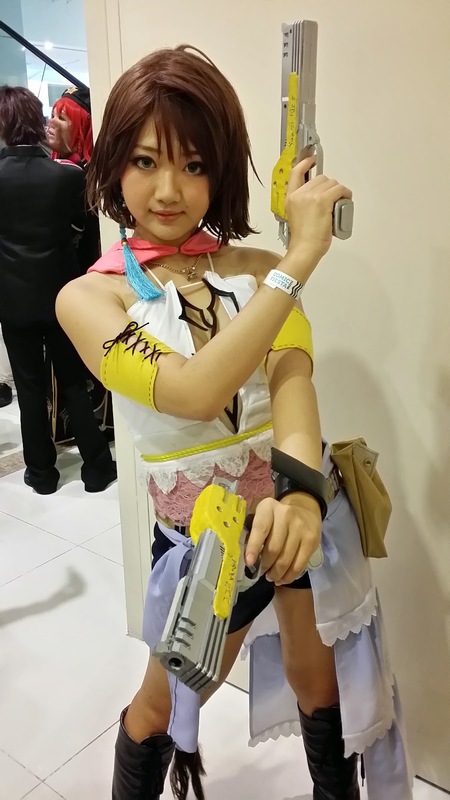 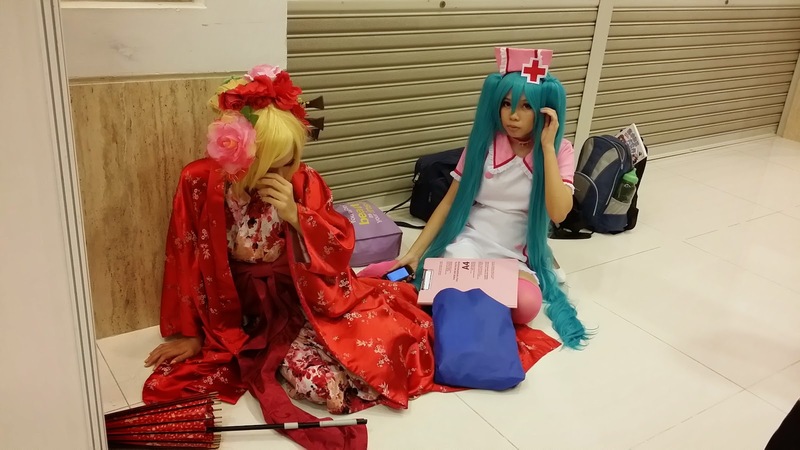 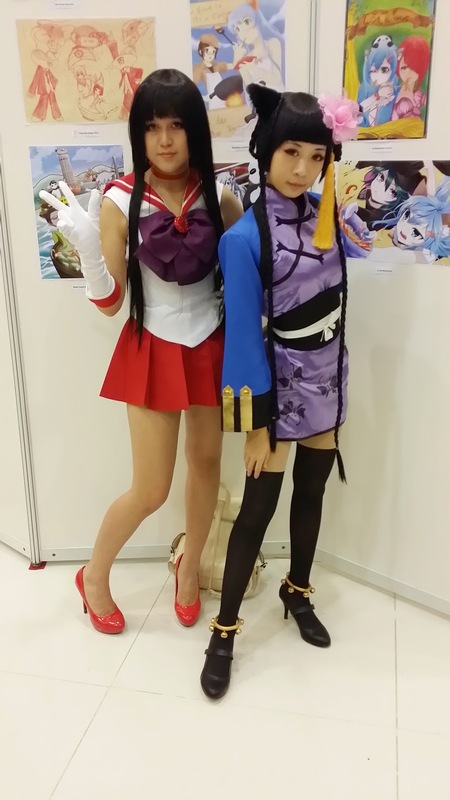 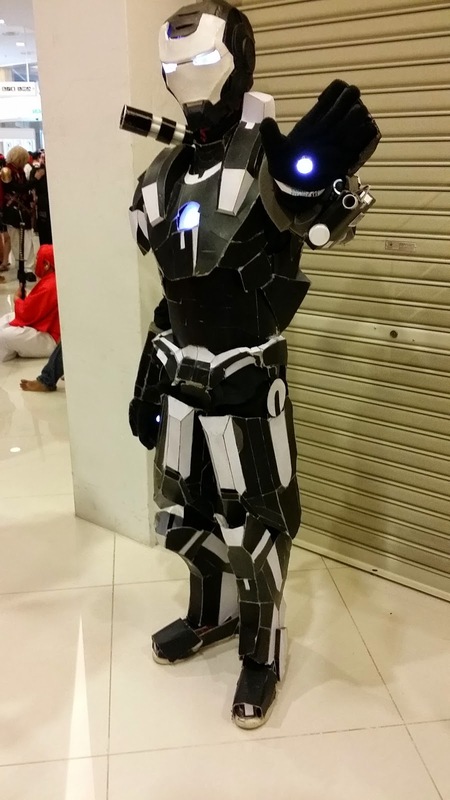 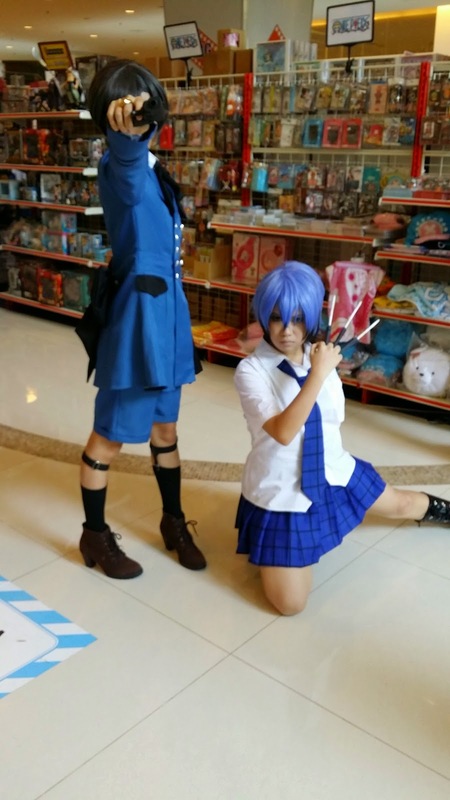 Recently we had the opportunity to visit the mini comic fiesta held at Penang Times Square. 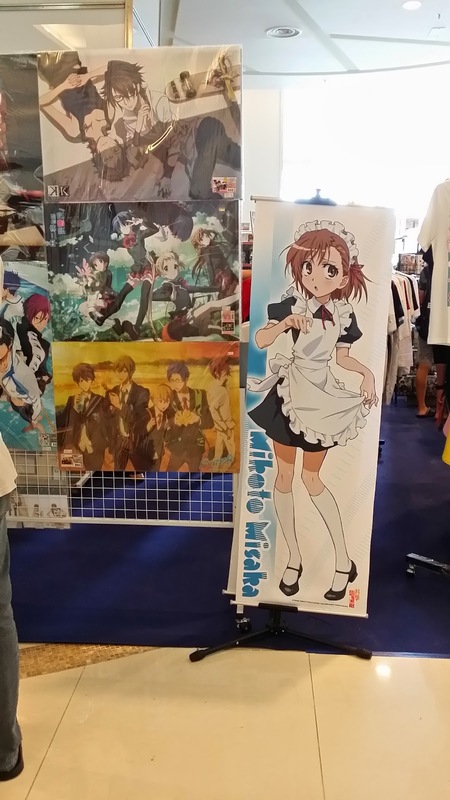 My son noticed the banner promoting the event and wanted to learn more about it. 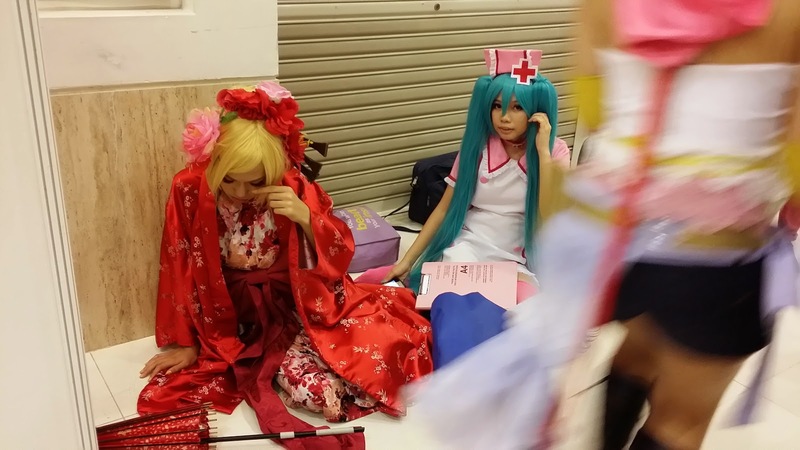 The event lasted for two days. 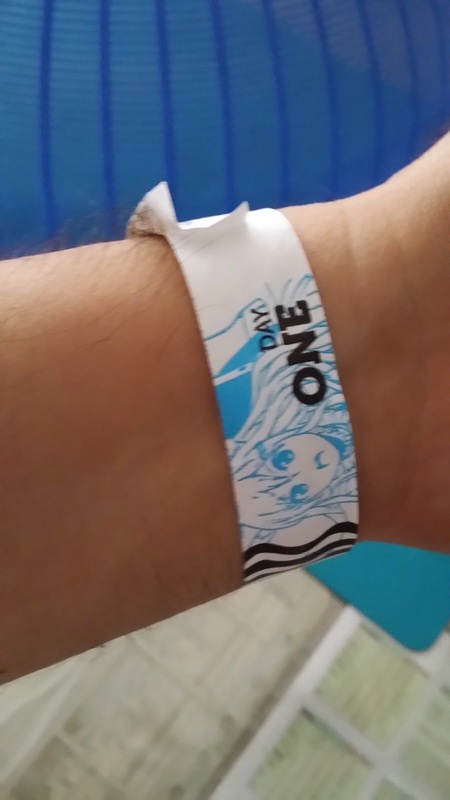 We had to pay an entry fee of ten ringgit per person for a one day entry pass. 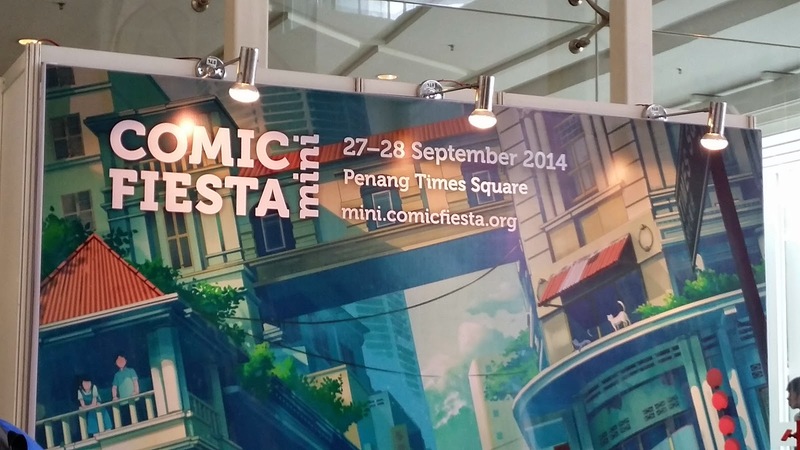 We arrived at Penang Times Square around noon and decided to have lunch before going into the exhibition. 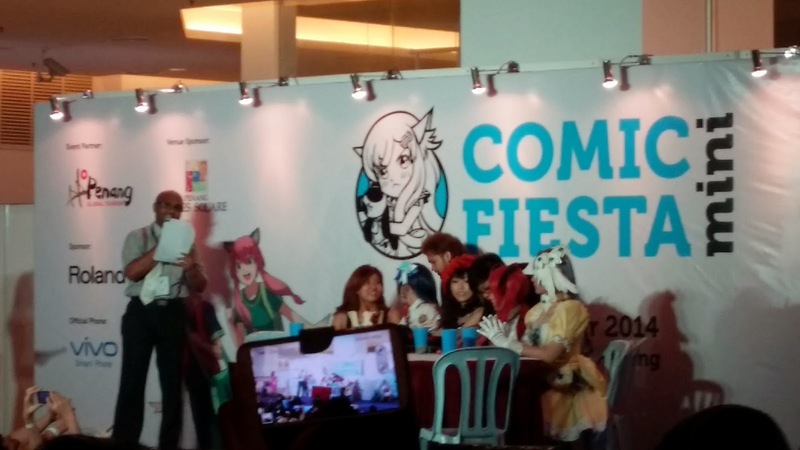 At the food court there were quite a few people dressed up in comic characters. 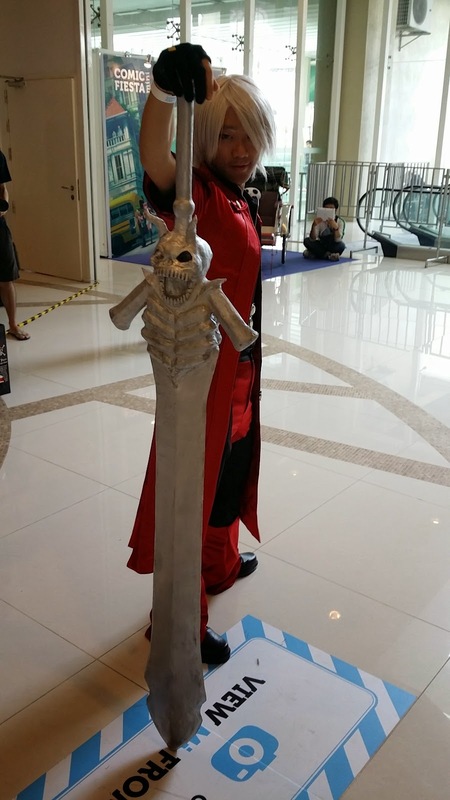 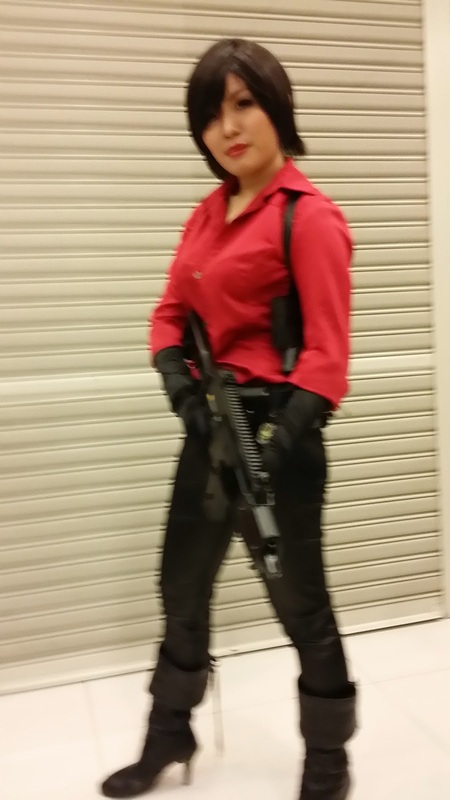 A few of them carried props of giant guns and swords. 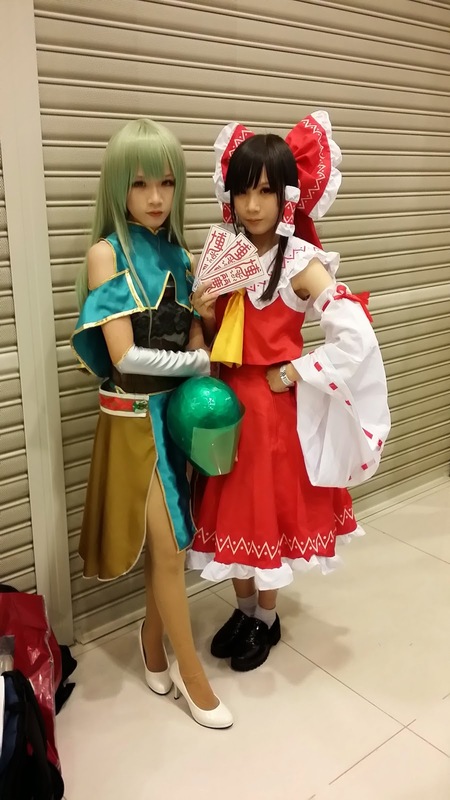 Some of the costumes look extremely uncomfortable, but was interesting to look at. 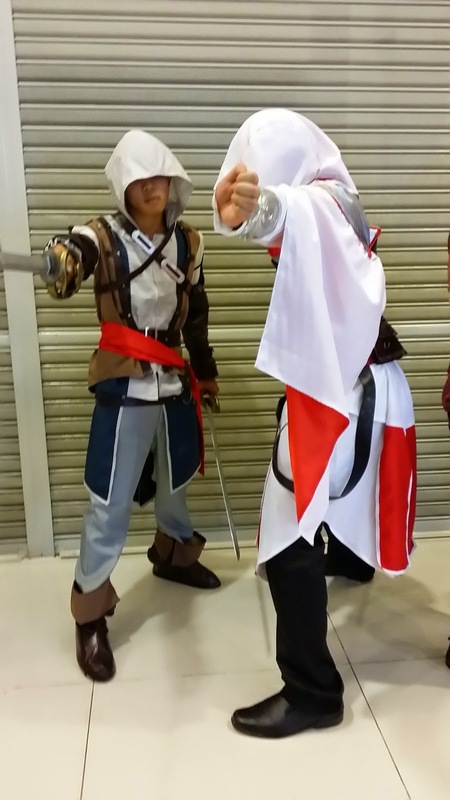 When we finally entered the hall, there were a lot more people dressed as comic characters. 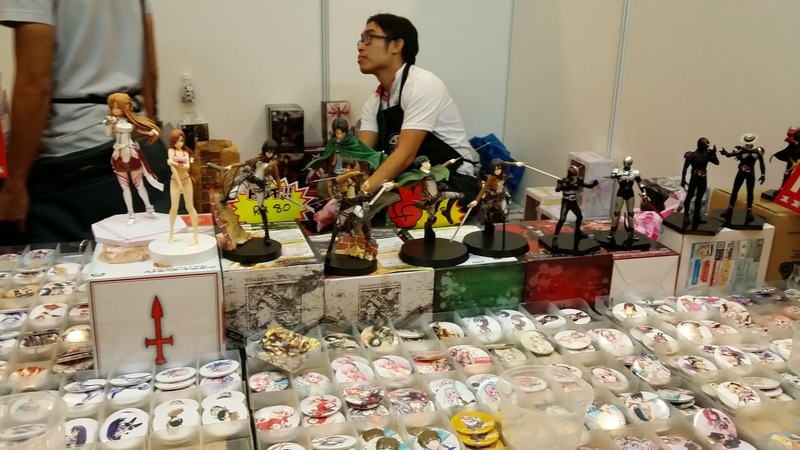 The place was filled with anime related merchandise. 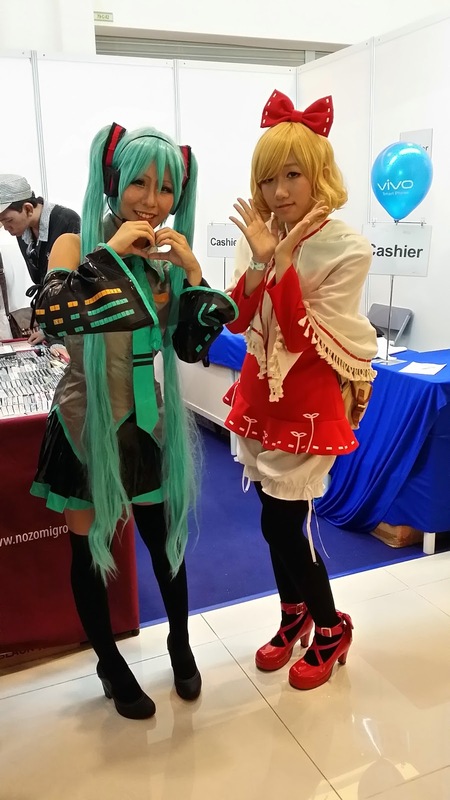 There were also a few stores promoting online games. 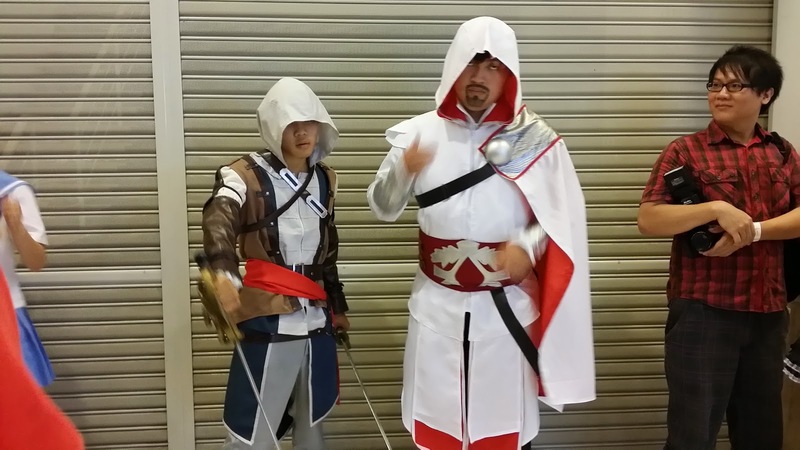 My son bought buttons and a t-shirt. My daughter felt bored and told me that she came along for lunch and was not really interested. 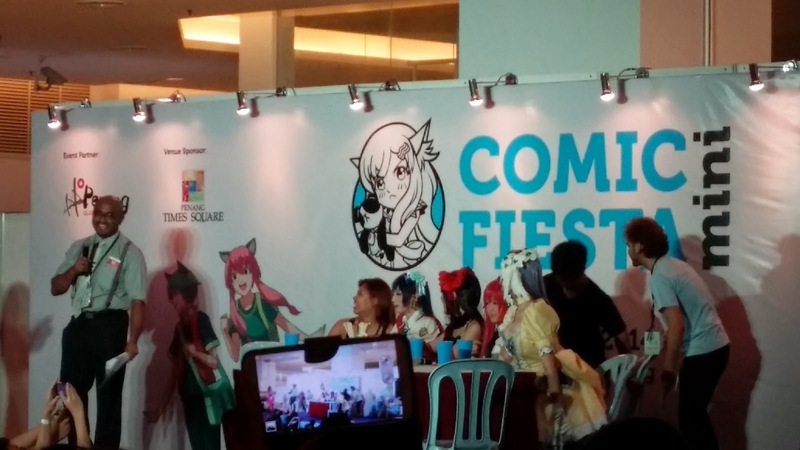 My son commented that this was called a comic fiesta but did not see any comics at all. 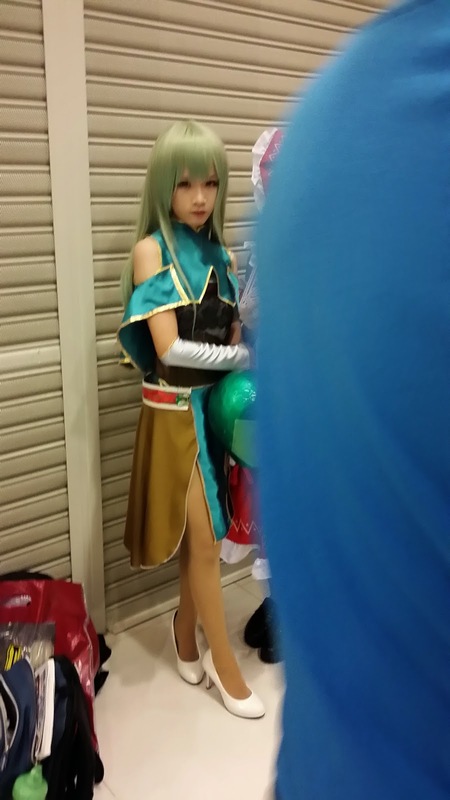 When I took this picture, his friend asked me if I knew that it was a guy I was taking a picture of. 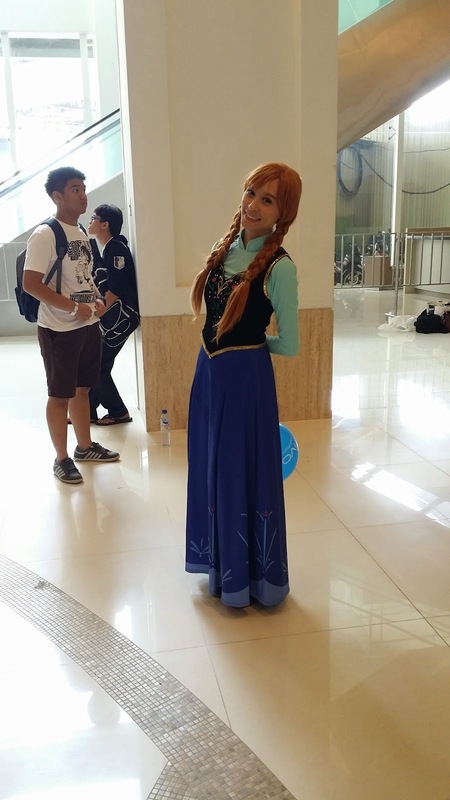 Even Anna from Disney's Frozen was there. 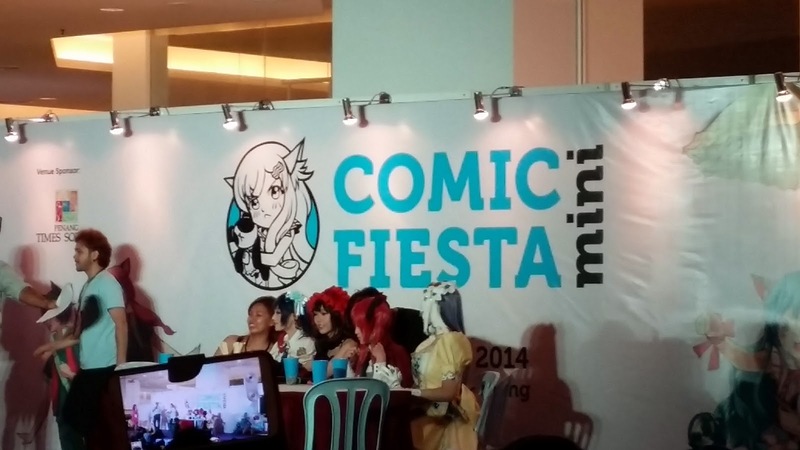 I am not familiar with any of the guests at the event. 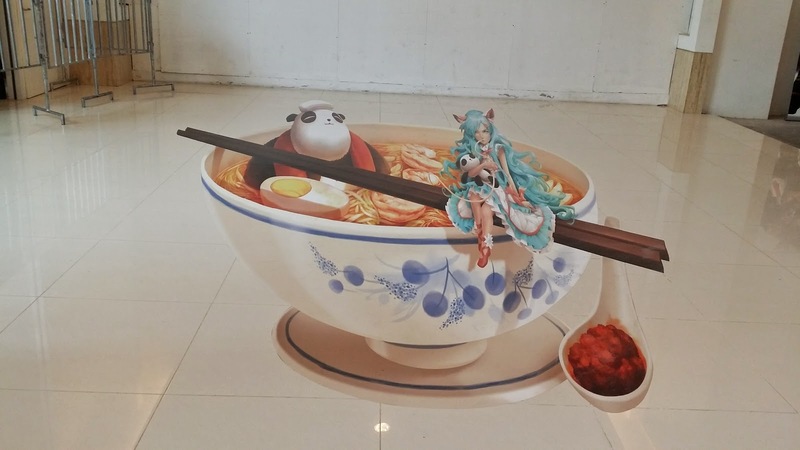 A 3D stickers at the event.